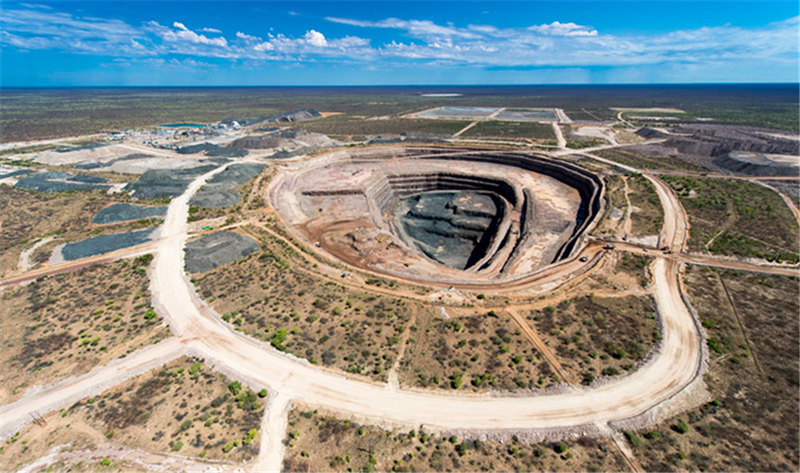 Botswana-focused Lucara Diamond (TSX:LUC) posted weaker than expected results in the first quarter, as the company was hobbled by high rainfall in February and March which limited production at its Karowe diamond mine. Quarterly revenues were about half of the revenues posted in the year-ago quarter, at $26.1 million in Q1 2017 versus $50.6 million in Q1 2016. Lucara received $405 per carat in the first quarter versus $649 per carat in Q1 2016. Earnings before interest, tax, depreciation and amortization (EBITDA) was just $4.9 million versus $30.7 million in the year-ago quarter. Earnings per share were zero, versus $0.05 in Q1 2016. "The decrease in revenues in Q1 2017 compared to Q1 2016 was due to a lower volume of carats being sold and a decrease in the carat weight of specials sold," President and CEO William Lamb said in the quarterly report. Lamb also noted that the decrease in carats sold reflects the processing of lower-grade stockpiles during a transition of mining contractors at Karowe. However, he said the company's new mine contractor, Aveng Moolmans, started in February and is expected to achieve full production during the second quarter. Lucara maintains its 2017 revenue forecast of $200 to $220 million, with 80% of its revenue forecast from the company's exceptional stone tenders and the sale of specials (>10.8 carats). Lucara made international headlines a year ago when its 813-carat Constellation diamond found at Karowe sold for a record $63 million.